Celebrity Goat Brie has the classic white bloomy rind and smooth, creamy texture expected of fine Brie, with the fresh, mild, distinctively tangy taste of great goat cheese. This convergence of style and flavor comes from Ontario’s well-known Borgo family. The Borgos have been making their excellent cheeses in Canada since the 1950s when Almerigo Borgo emigrated from the Northern Italian Alps, bringing his family’s cheese-making expertise with him. Today Almerigo’s three sons continue the Borgo cheese-making tradition. The Borgo passion for creating superb cheese is clearly tasted in Celebrity Goat Brie. Soft and delightful, the subtle flavors that first hit the tongue gracefully expand into a grassy, clean, gently-goaty zest. Bright goat’s milk white on the inside, surrounded by a pillowed, edible rind, Celebrity Goat Brie also makes a stunning presentation. Choosing to travel two roads at once makes all the delicious difference. Application: Celebrity Goat Brie can be used in all the same ways as a cow’s milk Brie, but its divergent characteristics from typical Brie make it a more provocative choice for a table cheese selection. It is lovely with baguettes and crackers and goes well with many dried and fresh fruits, cured meats, olives and jams. It can be baked, melted on burgers or drizzled with honey. Pairing: Goes with white wines like a crisp Sauvignon Blanc or Albarino or even a floral and aromatic white like Viognier or Torrontes. 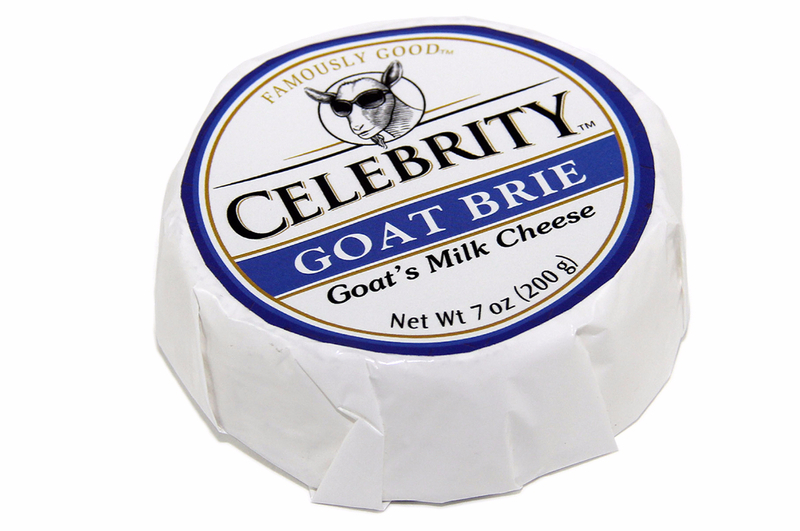 Celebrity Goat Brie’s rich, sweet notes also make sparkling wines a great choice. Only fresh black Perigord truffles from France are infused into VPC Truffle Honey. Each jar contains two grams of these subtle yet strong tasting French truffles, featuring small black flecks of the delectable treat. Their taste is smoothly incorporated into all natural, Australian red gum and clover honey from the Yarra Valley. Preservative free, VPC Truffle Honey is beautifully balanced and elegantly unique. 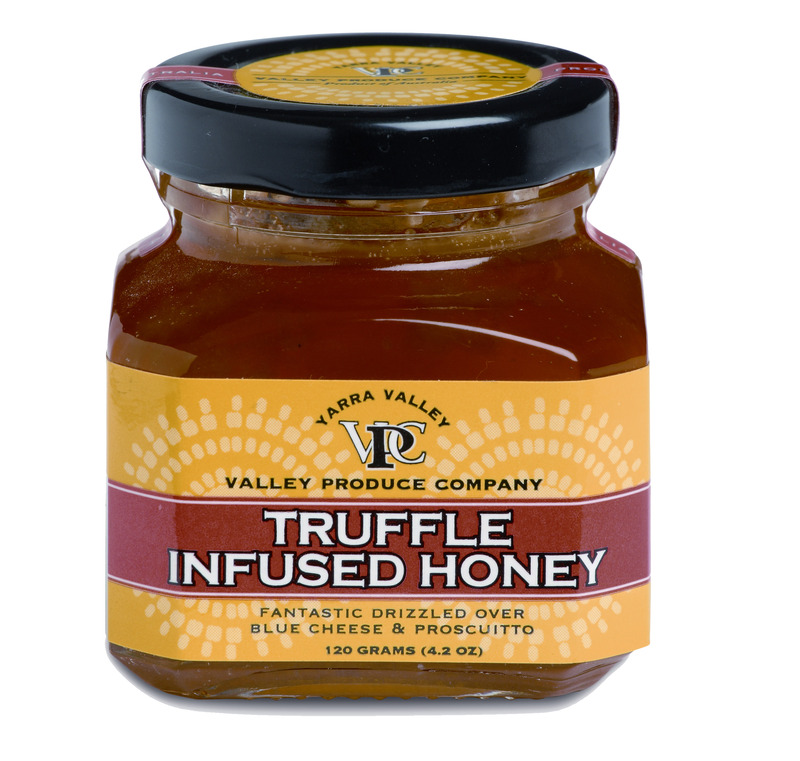 Delicious with prosciutto, fresh figs and pears, VPC Truffle Honey is absolutely delightful drizzled on a variety of cheeses. It also makes a wonderful marinade for roast chicken or duck.